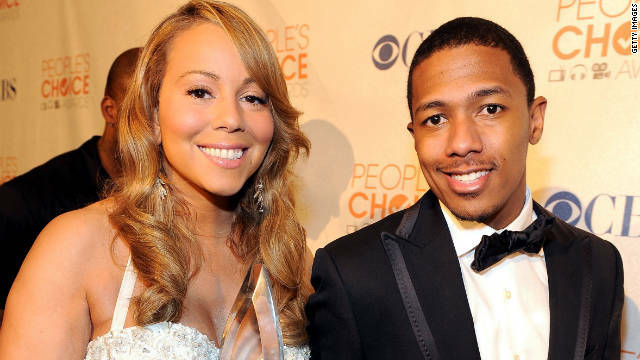 Nick Cannon and wife Mariah Carey attend the 2010 People's Choice Awards. Celebrity Nick Cannon revealed Monday that he has an autoimmune disease called lupus nephritis. Like many autoimmune diseases, lupus is a mystifying condition. It's often hard to diagnose because of its vague and varying symptoms. It can affect any part of your body such as joints, skin, kidneys, heart, lungs, blood or brain. Cannon, husband to singer Mariah Carey, has been hospitalized twice this year, once for kidney issues and a second time when doctors found blood clots in his lungs. His physicians have warned him to slow down, and Cannon announced he was stepping down from his morning radio show to prioritize his health in February. Doctors have told the multi-tasking media personality that the blood clots were connected to his kidney problems. The majority of lupus patients have other symptoms such as arthritis, skin rash, hair loss or mouth ulcers. Lupus nephritis causes inflammation in the kidneys, which makes them unable to properly remove waste from the blood or control the amount of fluids, according to the Lupus Foundation. About 50 to 60% of lupus patients develop kidney problems, said Dr. Gary S. Gilkeson, associate dean and professor of medicine in microbiology and immunology at the Medical University of South Carolina. He is not involved in Cannon’s care. The kidney problems can range from mild to severe to end-stage renal disease. African Americans as a whole develop more lupus nephritis than Caucasians and they’re more likely to develop end stage renal disease given the same treatment as people who are not African American. Doctors believe lupus has a genetic component. What makes Cannon’s case unusual is lupus tends to affect predominantly women. When men get lupus, it tends to be more severe, said Gilkeson, chair of the Lupus Foundation of America’s Medical-Scientific Advisory Council. Patients with lupus can expect to have a normal lifespan as long as they continue to receive proper treatment. The U.S. Food and Drug Administration approved a drug Benlysta (belimumab) for lupus last year. "We hate it that someone developed the disease but appreciate him being open about it so other people can learn about it," Gilkeson said. Order yours here: Reformatted R 03 Bovis the Supply Specialist Now up for preorder: MMC's Feral Con Leo Dux. Dezember 2013 at 15:56 Wonderful post. cartierlovejesduas I’d love to go to Baikonur, which is kind of like the Soviet’s Kennedy Space Center. I wonder if it is open to tourists yet?